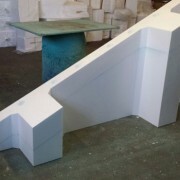 As one of Brisbane’s leading polystyrene suppliers we often get clients contacting us for left-of-field custom orders. 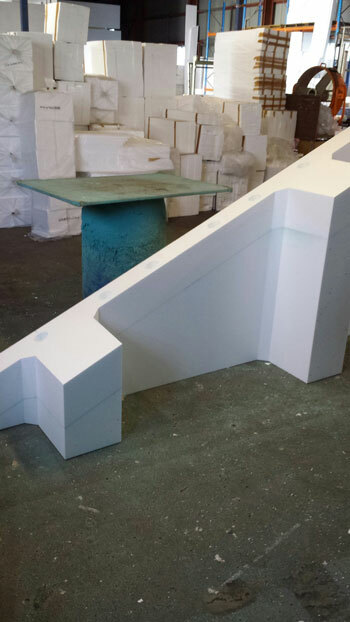 These custom orders are often from industrial construction heavyweights, film and television set designers and civic institutions looking for something eye-catching and different. Often these orders need to be designed and manufactured to adhere to specific time constraints and we always deliver on time, earning our clients gratitude. For one such project, we were tasked with supplying our client with a “void area” to help reduce the amount of weight in a multi-level concrete pour. A very large rainwater collection tank was then to be placed inside. 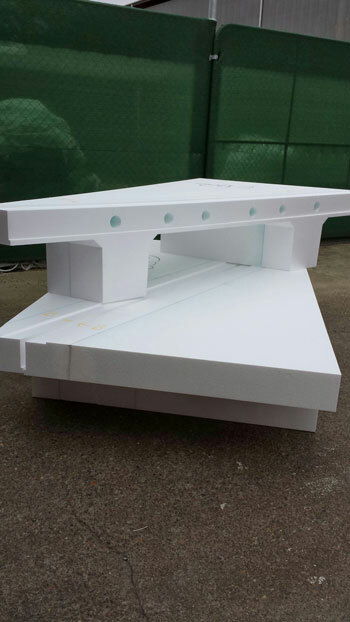 A lightweight yet durable product was required, and expanded polystyrene (EPS) was an ideal choice. 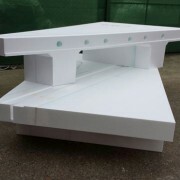 The completed weight of the EPS void came to just 98kgs, a very light and easy to handle weight for such a large area. 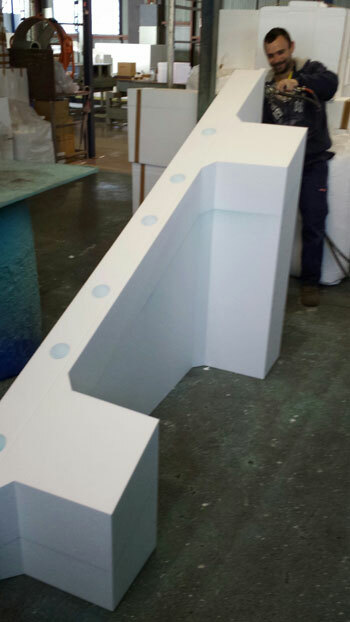 One of our business statements is that we deliver highly custom products where other companies are unable to deliver. True to form, we were able to complete their custom commission in a timely manner, without sacrificing quality at any stage of the process. From design to manufacture, we ensured that the industrial supplies we provided were up to the current Australian standards by applying our rigorous safety tests. Due to our prompt delivery of their order, our client was able to complete their project well ahead of their estimated schedule. 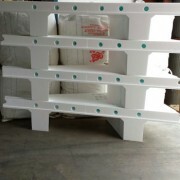 They were impressed with our services and very happy with the custom product we supplied them with. 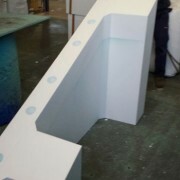 We were happy to have helped fulfil our client requirements through our passion for polystyrene. 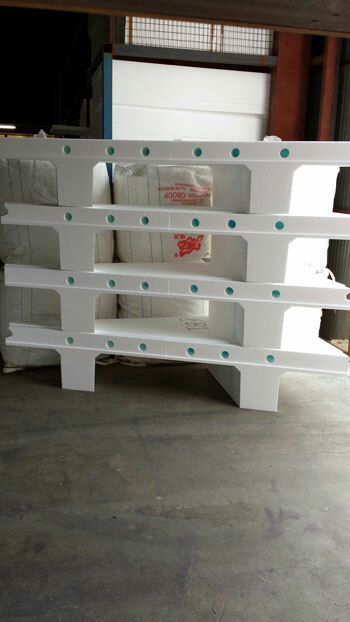 Feel free to browse our photo gallery or check out our available products in order to see how Polystyrene Products could help with your upcoming industrial construction projects. If you have any enquiries or questions, please don’t hesitate to get in touch with us.